President Nana Akufo-Addo is slowly gearing up for the election season with a prediction of a landslide victory for the New Patriotic Party (NPP) in the 2020 election. 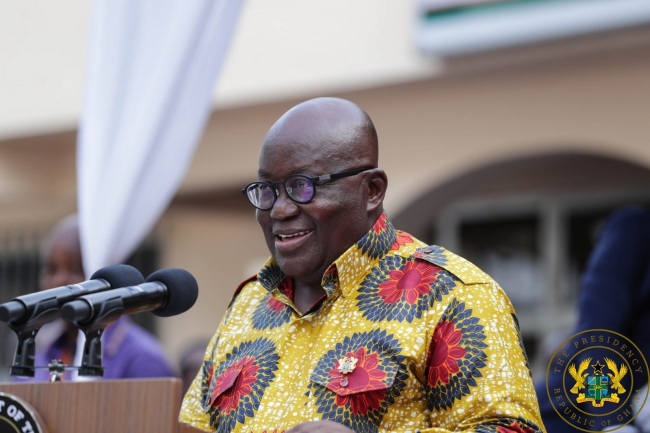 Despite persistent complaints of hardship, the President believes the achievements of his government in the last two years are enough to secure the NPP another term in office. President Akufo-Addo is yet to declare any intent to run in for the presidency in 2020. But former President John Mahama has urged the 74-year-old to contest as the New Patriotic Party’s candidate so he can face him again. President Akufo-Addo overcame John Mahama with 53.85% of the total valid votes cast, against the NDC’s 44.4%. Akufo-Addo’s victory was described as historic in many ways, as it was the first time a sitting President was beaten in an election in that manner. It was also the first time a total vote difference of more than 1 million was recorded, between the winner and his closest contender any election in Ghana. Observers attributed the overwhelming election victory to public disaffection for the NDC due to growing impunity and the perception of corruption.